Oscar Niemeyer, the youngest member of the Board of Design in charge of the United Nations Headquarters died Thursday, 5 December 2012, at the age of 104. 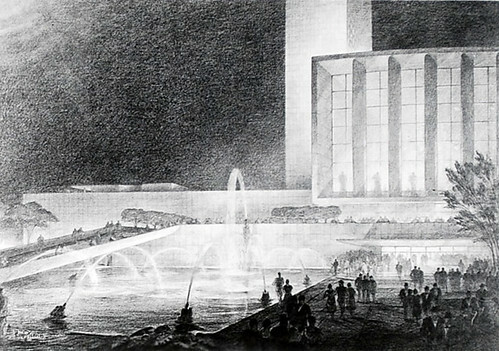 Niemeyer left a great legacy that has and will inspire many generations of architects to come. To celebrate Niemeyer’s work and pay tribute to one of the most audacious architects of his time, the Archives and Records Management Section (ARMS) presents exhibition: “Oscar Niemeyer and the United Nations Headquarters (1947-1949).” In honor of his contribution to the Board of Design, we have published photographs of blueprints, clay models, press clippings, graphic renderings, aerial views of New York. 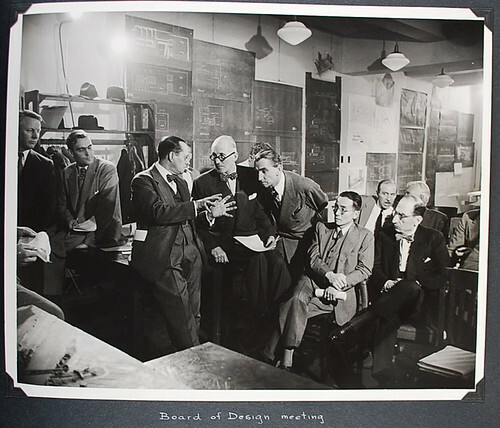 The Board of Design was comprised of ten architects from around the world under the direction of Wallace K. Harrison: Sven Markelius, (Sweden), Le Corbusier (France), Ssu-ch'eng Liang (China), G.A. "Guy" Soilleux (Australia), Nikolai Bassov (Soviet Union), Ernest Cormier (Canada), Gaston Brunfaut (Belgium), Howard Robertson (United Kingdom), Julio Vilamajó (Uruguay) and Oscar Niemeyer (Brazil). The team started working at the beginning of 1947 at an office in Rockefeller Centre. They elaborated 50 different schemes that were then criticized, analyzed and reworked by the whole team. All of the Board's architects believed that modernism transcended national and cultural differences; they were determined to demonstrate this to the world by conceiving together "a workshop for peace," an expression often used by Harrison to name the future headquarters. The collaboration wasn't always easy, but every scheme and every model was thoroughly discussed in order to reach a consensus. Over time, the authorship of the different architectural elements of the UN Headquarters became hardly discernable. As Niemeyer commented in 1947: “When we make a building for the UN,” said Mr. Niemeyer in 1947, “we must have in mind what is the UN? It is an organization to set the nations of the world in a common direction and gives to the world security. I think it is difficult to get this into steel and stone. But if we make something representing the true spirit of our age, of comprehension and solidarity, it will by its own strength give the idea that that is the big political effort, too”. 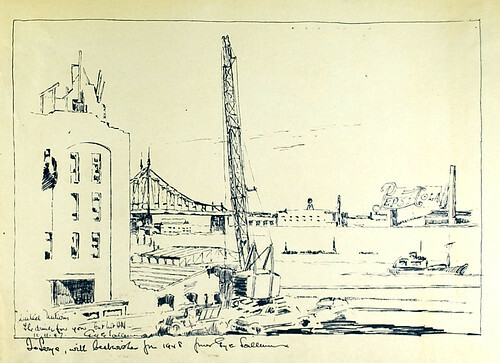 Hugh Ferriss, the design consultant in charge of elaborating the renderings based on each architect's ideas drew several schemes that were later photographed. Today, we digitized and assembled them here. Once the plans were approved, the construction began later in 1947 and the cornerstone was laid on 24 October 1949.